With the news that Yggdrasil games have been granted a license by the UK Gambling Commission, we catch up with the man behind the company, Fredrik Elmqvist. 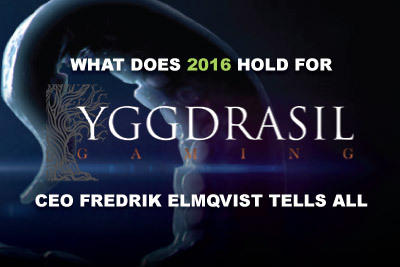 What Does 2016 Hold For Yggdrasil Slots? Fans of ours will know that we’ve been following the process of Yggdrasil Gaming carefully; despite the fact that most of us playing on UK casinos are unable to enjoy their wide range of slots. But, we can sweep our bitterness aside with the news that come February 2016, these will now be widely available to all. By now you are either super excited (because you’re slot geeks like us) or wondering who or what is “an Yggdrasil”. To answer that, we got the CEO of this up and coming slot game studio, Fredrik Elmqvist, to kindly take our call and answer all of our questions, all for your amusement. Sure, we started back in 2013, but back then Yggdrasil Gaming was just an idea in motion. 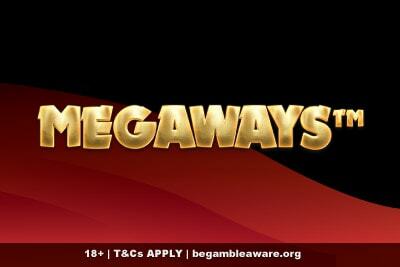 Get a huge welcome bonus at Leo Vegas and play for longer on a huge selection of games. It wasn’t until 2014 that we had something to show, and 2015 when we became truly competitive. 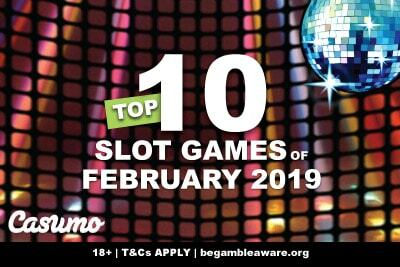 UK players have a wide range of games available to play, by some big name brands like Microgaming and Net Entertainment. We wanted to be sure that when we went in, we had something truly impressive to show you, and the casinos to showcase our slot machines. Now we have both, we know UK casino players will appreciate our great quality games. I like to think that we bring a spark of excitement to each new game we create. We craft each slot machine individually, thinking carefully about the mechanics of each game, and how they’ll stand out in an already crowded scene. And I know what we need to stand out, as I used to run the Global Market Operations for NetEnt prior to starting Yggdrasil. One of the things we’re particularly good at is creating fast paced games, that still provide players with the kind of explosive high volatility wins that makes playing slots online so worthwhile. Though if I must pick one right now, it would have to be our Vikings Go Wild video slot. It’s one where I think we got it all right; simple, but powerful mechanics and features that have been beautifully interpreted within a theme and story. Vikings Go Wild is a great combination of interesting game play, and an imaginative theme, working together perfectly. Personally, I’m proud of the great creative team we’ve put together here in Malta and Poland. Though I think, I’m most proud of the gamble we made back at the beginning of 2015, when we decided to create what we call our iSense framework. What that means is that all our casino games, whether our online or mobile slots, are created using the same technology – HTML5 and not Flash. It means we can release our video slots across all platforms at once, and they will play and look the same; so just because you’re on your iPhone, you won’t lose out on the same great experience as when playing on your desktop. On a more ‘fun’ note we are very proud of two unique features that have proven very popular. The first is the Super Free Spins function (which you can find at the always great Vera&John casino), where instead of the boring free spins, players get an infinite number of spins till they either win a certain amount in one spin, or in total. Our second innovation is adding Leaderboard tournaments and raffle prizes within the games themselves, adding a sense of fun and competition between players. Quick note to readers: Think of ‘HTML5’ as the building blocks to create online games. These are usually only reserved for mobile slots, with almost all online slots created using the building blocks ‘Flash’. The gamble is that Flash is going the way of the dodo and disappearing from our devices; a gamble that both Google and Apple agree with. We’re betting with Yggdrasil on this one too. Well, Vikings Go Wild is an obvious choice, as I’ve already mentioned. I think that our jackpot slot, Holmes and the Stolen Stones, is also a great one to get started with, and not just because it’s set in London. Play all Yggdrasil games and get 10 free spins no deposit on Sparks + a bigger welcome bonus of 100% up to £€$200. We created a jackpot slot that still provides easy thrills, even without winning the big prize, but obviously with the draw of being able to win tens of thousands in cash on just a small bet. My last choice is probably a toss up between either The Dark Joker Rizes or December 2015’s new release Nirvana, which has 3 free spins features and multiple wilds. What do you mean I can’t pick four? Editors note: What other games are we to expect come February? Fredrik gave us the whole list and we are happy to report that it also features two of our favourites, as well as the still very decent and psychedelic Chibeasties. Our favourites? The high energy Cyrus the Virus, and the surprisingly versatile Doubles slot. Incinerator is our brand new game coming out on the 21st of January, and is an exciting release for us. 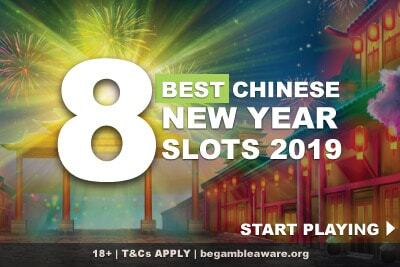 Mostly it’s because we’ve gone on a slightly different direction with this one, probably making it one of our least volatile slots, but still keeping the fast-paced entertainment we’re renowned for. Working with the popular cascading reels features, every win will create another opportunity for a consecutive win. Every 3 wins in a row will give you a pattern of random wilds on screen that can continue the chain reaction for several spins. The next game, the Fish Tank video slot, will come out on the 24th of February. But that one is still wrapped on post-production secrecy. We’ve always said to ourselves; we’re not aiming to be the biggest, we want to be the best. 2016 is our year to show players from all over the world that our online and mobile slot games are the best, bar none. We have a full schedule of new releases, so players won’t have time to get bored this 2016 and we are planning on making our Super Free Spins and in-game tournaments more widely available across all our slots. Our £€$10K giveaway promotion on the Nirvana slot proved to be hugely popular, so we are planning on building in that success with future (and old) games. Do we have anything new and unique coming up? You betcha. But I can’t tell you about it right now, guess we’ll have to catch up in February when I’ll reveal all. Sure sounds like 2016 is going to be the year of Yggdrasil Gaming. You’ll be able to play all Yggdrasil slots in good UK casinos on mobile and online come February 2016. Not from the UK? Lucky you, you can enjoy the whole collection over at the brilliant Vera & John Casino right now. Also not a bad place to hang out if you’re waiting for Yggdrasil games; they pretty much have every decent game software known to man; including NetEnt, WMS and IGT.